Cre8tion Collection Foam Displays beautifully showcase our true colors and nail finishes from our gel and nail art collections. 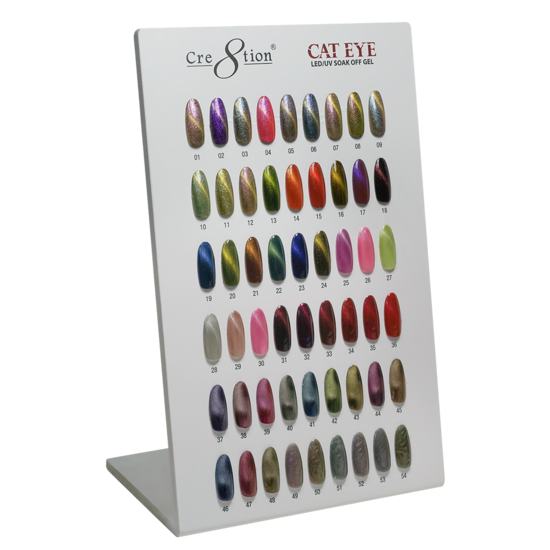 These displays are self-standing foam boards with hand painted tips using our product to allow anyone to easily select a style without hassling for color samples. Get yours today!